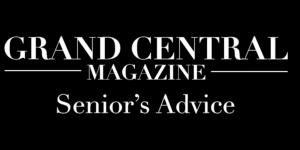 Justus League Embraces unity, community, music | Grand Central Magazine | Your Campus. Your Story. Members of the Justus League gathered for a spirited meeting and a discussion on the campus of Central Michigan University. 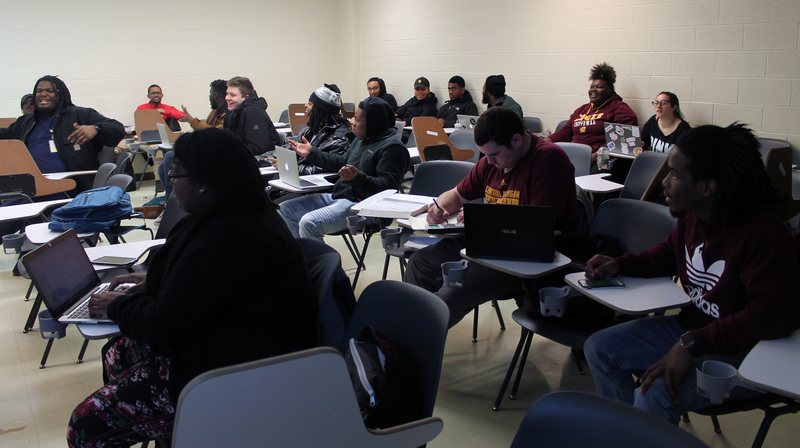 The low hanging projector screen of Moore 112 on the campus of Central Michigan University shows a question from the popular classroom game Kahoot. It reads “Tyler the Creator vs Vic Mensa,” two popular modern-day hip-hop artists who showcase different styles, flows, sensibilities and more. The game puts them head-to-head to see which the audience in the room prefers or says is the better artist overall. In front of the screen are a dozen or so individuals debating about the question, citing different styles each artist brings, the audience they cater to and production, before Tyler the Creator wins this match up by a landslide. The object of the game was to see which rapper is the most preferred and was one of nearly 20 or so matchups created for the meeting to provoke and inspire music debates as the raucous crowd in the room shares insight amongst themselves. This is the first meeting of the semester for Justus League, a multicultural performative and informative hip-hop group on campus. 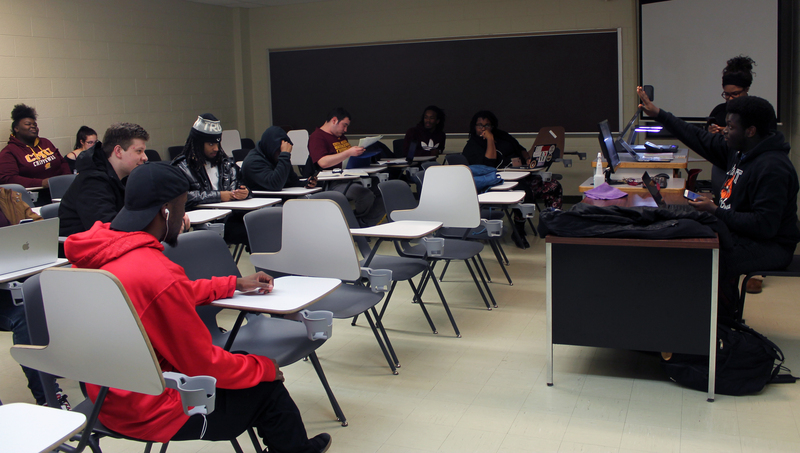 The organization has been at Central Michigan University since 2013 when it was founded by Tanjae Chairse. General meetings for this semester are held on Wednesday evenings on the first floor of Moore Hall. Current president Ahsha Davis has been a part of Justus League for over four years. A fifth year senior and a major in broadcasting and cinematic arts, she said that the organization is a even 50/50 split between being about performing music by its members and also educating each other and those in the broader CMU community about the genre of hip-hop and social issues. A few members of the Justus League engage in the conversation on the campus of Central Michigan University, Mount Pleasant, Michigan. “We do meetings where we talk about the study of hip hop and the history of it, but another side of it is giving people opportunities to showcase their music so we see the performing aspect come in through that,” Davis said. Debates, conversations and dialogues about different facets of the genre prove to be a foundational piece of the Justus League. This aspect of the group represents a major benefit of being in the group for junior Raven Tipton. Tipton is the recording secretary on the E-Board of the Justus League. 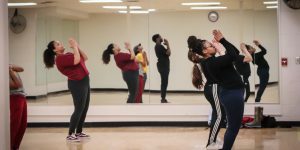 She has been in the group for a full year and though she grew up on the old school roots of the genre, she says she knows less about the modern iteration of it and said the group provides “hip-hop awareness” to her and the broader CMU community. Members of the Justus League file in for the start of a general meeting on the campus of Central Michigan University. Justus League plans a few events throughout the semester. 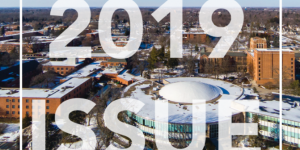 These include a collaboration with other groups on campus, a fundraiser called Make Waves for Flint and the second annual Festival of Justus event on campus. Senior Kendall Holloway has been in the League since he was a freshman and has been Co-Vice President for over a year as well. He originally joined the group when some friends of his were going. Initially planning on doing his homework and zoning out of the meeting proceedings, Holloway was then interested when asked to take part in a project making playlists for study guides, and each guide was based on a different genre of music. A trained musician through jazz, gospel, classical music and more, Holloway said that the Justus League is an important force on campus because it provides a “voice for artists” and a platform for their art. Though it is comprised of individuals with the same love and passion for music and the genre of hip-hop, not all of the approximate 15 members of Justus League are the same. 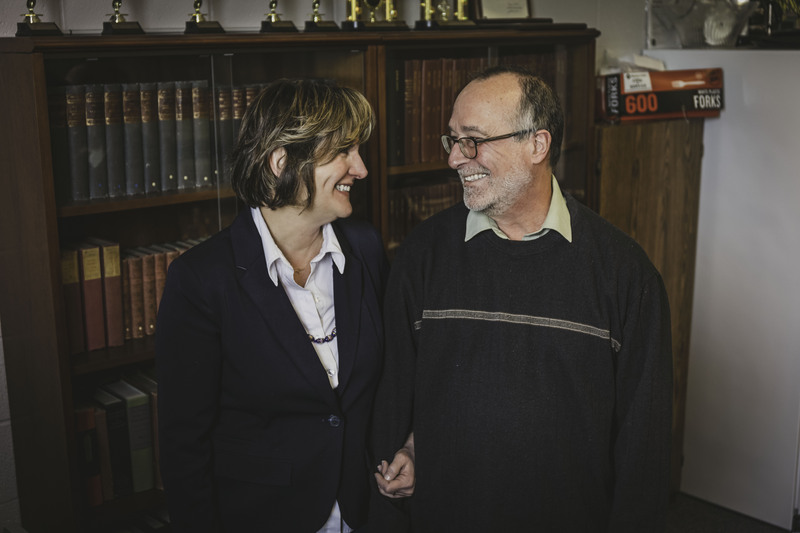 They come from different backgrounds, places and ages and each play a factor into making the music and talking about the music with each other. 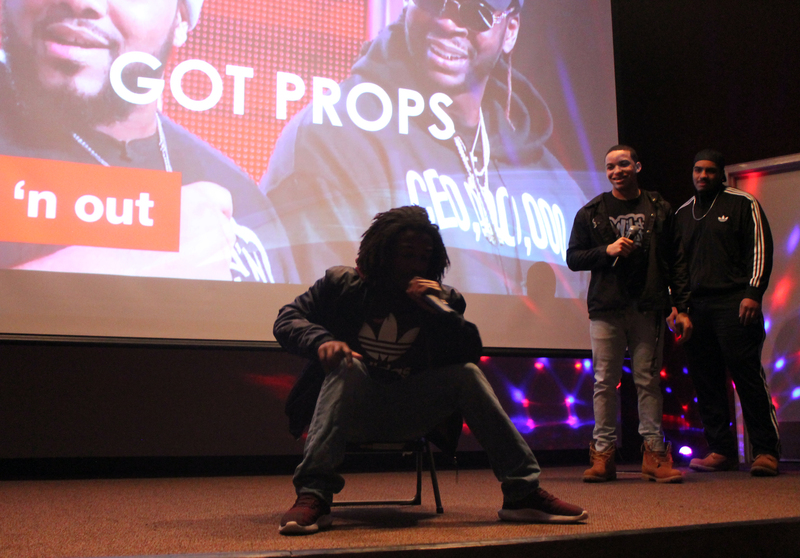 Gold Squad and Platinum Squad trade disses during Wild N’ Out on the campus of Central Michigan University. CMU senior Taraj Livesay as well as Justus League Co-Vice President in his third year in the league, says that this is a really interesting but creative time for the organization. He said that the diversity of different opinions and ideals within the organization helps establish perspective. As a registered student organization on campus, Justus League provides a variety of different events where members perform. 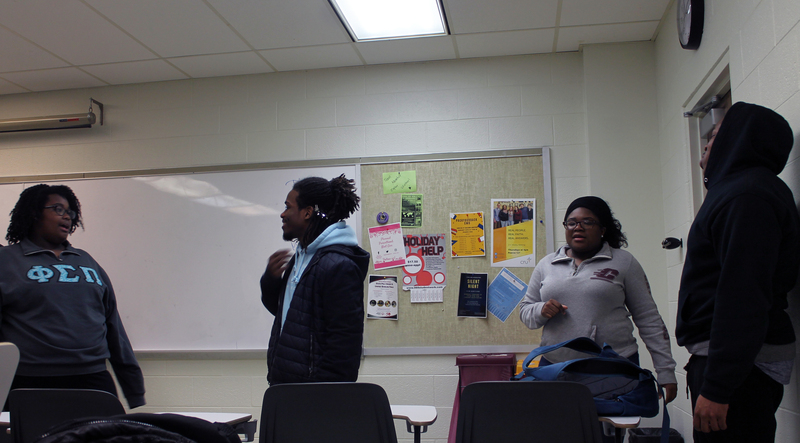 They usually hold a general meeting every week where they hold discussions and go over agendas regarding upcoming events and music developments on campus. As well, they hold a few 808 meetings a month, which are study break and producing sessions where members and even those interested in the club can study for their classes as well as work on their respective music. Members of both team’s trade improv skits during Wild N’ Out on the campus of Central Michigan University, Mount Pleasant, Michigan. 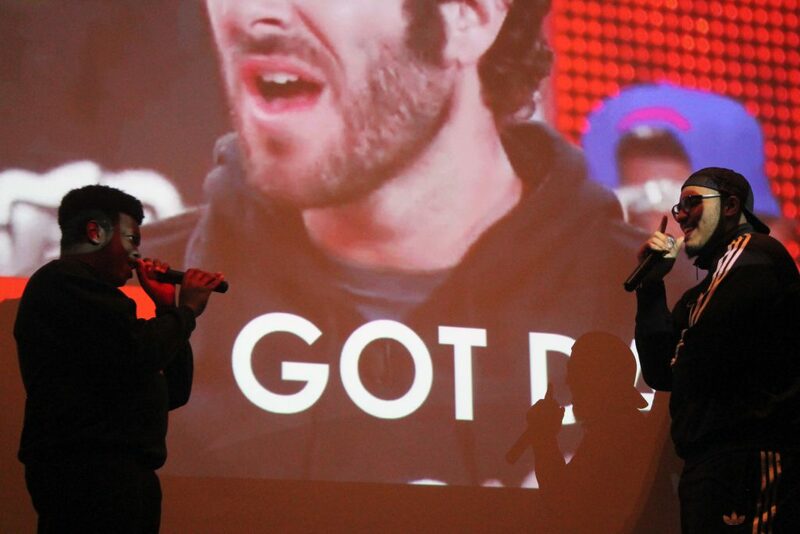 One of the first big events that Justus League held this semester was Wild n’ Out. Wild n’ Out is a adaptation of the hit Nick Cannon produced sketch and improv comedy show that aired on MTV. The event was organized by the League and Organization for Black Unity, another RSO on campus. It was the fifth year they have done the event and it was held on Jan. 18 to a crowd of a hundred plus piled into Anspach auditorium. The two organizations, Justus League as Gold Squad and OBU called Platinum Squad, went back and forth over a series of improv comedy games, skits and punchline set ups. Justus League acts as a place of studying the genre of hip-hop as well as crafting and sharing the music with the broader university community as well. Holloway is one member of the group who thinks that the organization acts as a great platform for both notions. He also stresses the idea of the creative process how and Justus Leaguer gives the members who make music a chance to “complement” one another and work off the strength of each other to make great work. Holloway says the conversations about the mood, tone and style of a song can help them come up with songs better than they expected just by collaborating and working with one another on a singular goal. “So it’s just the entirety of creative process, being influenced by many different heads and many different minds on many different aspects of creativity,” Holloway said. One student who shares that passion for the creative process and music in the group is Stevenson Altidor, a second year BCA student with a minor in journalism and public relations who has been in the League for around a year. Altidor had been told about the group by Davis and decided to join because he wanted to be around like-minded people and because hip-hop means “everything” to him. Altidor grew up listening to the genre as well as being in a household surrounded by Haitian music, R & B and Michael Bolton. He said the music of hip-hop hit him right away and wasn’t like anything he had ever heard before. Altidor said the music he grew up on outside of that genre was based in melody, where hip-hop was based in frankness and was uncompromising and that inspired him. The Justus League goes over the meeting agenda on the campus of Central Michigan University, Mount Pleasant, Michigan. Altidor says the music provided him a place of solace, whether listening to it through elementary, middle and high school or making it like he currently does. He had originally joined Justus League as a poet but entered in producing at the behest of his friends. He said from listening to it, he became a personification of it through the songs and how that changed his life for the better. “Hip hop made me become the man I honestly never thought I would be,“ Altidor said. Another student who sees the power and impact of the music on their life is Livesay. Livesay has been making music since he was a kid and also makes music for a variety of different genres, including singing and playing instruments, while also acting as the main engineer for the music of Justus League. He said music has proved to be a guiding light in his life, including hip-hop, where most of his “most popular” stuff comes from. The importance of the genre is showcased in what the Justus League presents in its meetings and in their performances on campus. Through the meetings, educating each other and new members on the history and significance of the genre, and performances and events made to showcase members singular and palpable talents, the unity the genre provides is emphasized. Davis says this unity acts as an antidote to old stereotypes about the genre. She said the genre was established to bring people together in the midst of injustice and wrong doing. “Hip-hop was created to take people and bring them together to fight a lot of the social injustices that were happening in those communities,” Davis said. Davis first got into hip-hop when she was 13 years old when her dad would play the old school artists of the genre, wanting her to understand the foundation of the music. Getting more into the more modern aspects of the the music later on, Davis says that people look at the genre as a “bad thing,” but that it is a truly positive aspect of music and modern culture. Since the genre embodies the messages of not only the people making the music, many of them marginalized in various ways, but the cultures they represent, it highlights that positive aspect. She says this ultimately proves why having a group like Justus league is important for the Central Michigan University campus. “I think it’s important to have our organization on campus because people see the work that these students do and realize that this is everyday for people. They tell their stories, they tell their trials and tribulations in their music but they also talk about what they’re dealing with as humans and college students. 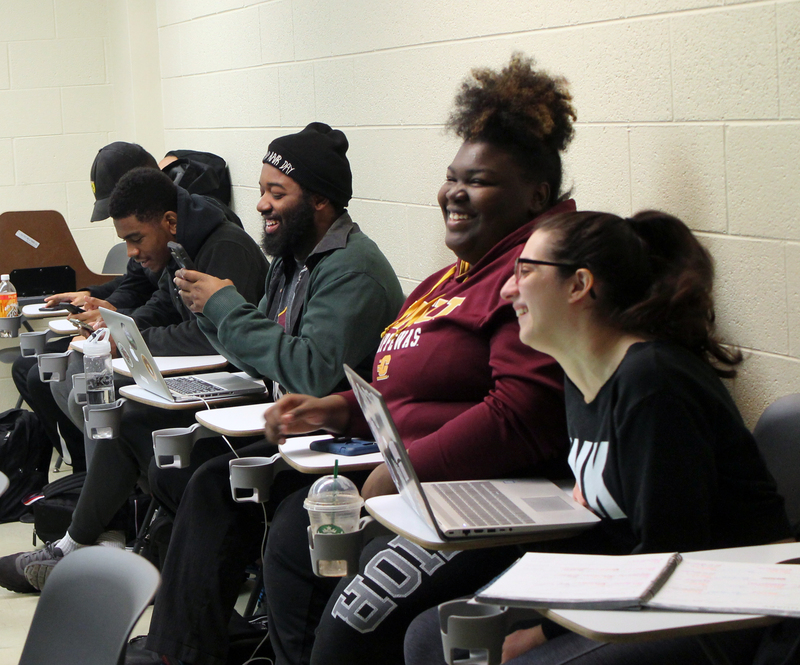 It gives CMU an opportunity to showcase what it’s like to be in a community that is constantly being marginalized,” Davis said. Separator image Posted in Student Lifestyle and tagged with Ahsha Davis, Justus League, Quentin Rodriguez.